Get behind the wheel of an elegant sedan with five trim levels to choose from when you get behind the wheel of the 2019 Jaguar XF. 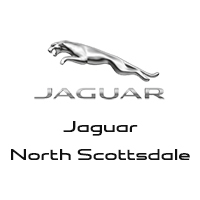 Explore Jaguar XF pricing and features below and experience high-end features for the right price in Scottsdale, then schedule a test drive at Jaguar North Scottsdale and find the perfect Jaguar for you! The Jaguar XF doesn’t stop there! The model also is available in a wagon body style while retaining the sportiness of the sedan models. Starting at $64,575 MSRP*, the 2019 XF Prestige Sportbrake comes with a powered gesture tailgate, while the XF S Sportbrake starting at $71,215 MSRP* shares the performance features of its sedan counterpart. Drivers will also experience added features like self-leveling air suspension. You can browse our inventory to find the Jaguar XF for sale that offers all the features you want, including automatic climate control, advanced navigation systems, and more. Compare the Jaguar XF vs. BMW 5 Series to check out the competition, and once you find the vehicle you like, you can use our payment calculator to help estimate monthly payments. If you are unsure about which Jaguar model you want, explore our Jaguar vehicle specials so you don’t miss out on a great deal! 0 comment(s) so far on How Much is the Jaguar XF?